In cooperation with the CEIBS, we give a voice to senior managers and entrepreneurs of foreign and Chinese businesses in China. Your input will provide ground-level insights on the trends that drive China and benchmarks for you and your stakeholders to make the right decisions in a less predictable environment. 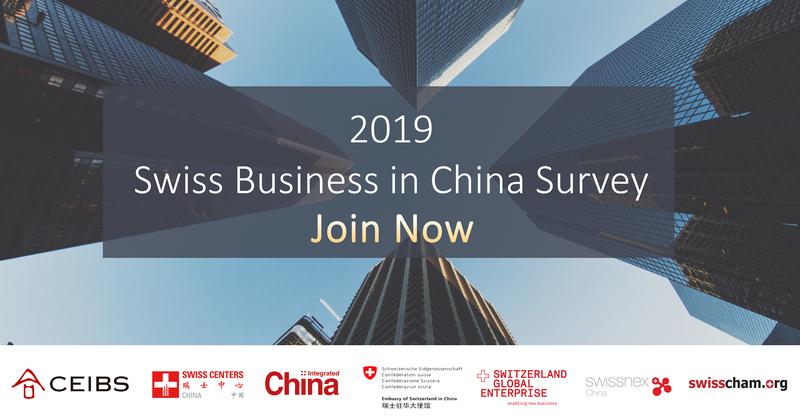 We kindly invite you to participate in the 2019 China Business Survey, developed in collaboration with the Swiss Embassy, Switzerland Global Enterprise, SwissCham, Swissnex, China Integrated and the China Europe International Business School, the No. 1 Business School in Asia for Executive education. It is the international business survey collecting by far the largest number of replies in China and the only one that includes and compares with the opinion of managers of Chinese companies and allows an analysis of Chinese and foreign SMEs in China. Last year’s CEIBS survey received replies from close to 1000 companies, among which there were over 100 decision makers from Swiss enterprises. It is believed to be representative of the approximately 600 Swiss companies that have established operations in China. The 2018 survey showed continued growth and good results; still for the first time Swiss companies were less optimistic for the long term. Click and download the 2018 survey to understand the challenges and opportunities for improvement identified as well as how Swiss companies are competing for success in China. Once again, we aim to uncover key trends of foreign and local companies doing business in the increasingly competitive market of China. 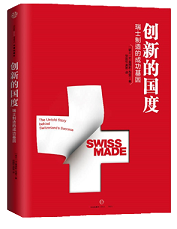 For respondents from Swiss companies, specific questions are included to gather insights into how the Swiss business community in particular is doing in the current business environment in China. The survey is prepared in a user-friendly way and will take around 15 to 20 minutes of your time to complete. Please be assured that your response will be kept completely confidential: indeed you are not required to leave a company or personal name. All participants will receive a complete set of the results and an in-depth analysis by leaving only an anonymous email address.